Love it! so very beautiful. the color is amazing. I would love to carry my baby in this beautiful sling! I'm 13 weeks pregnant with our first child! Love this fabric! It's totally something I'd pick out for myself. Also, 35 weeks pregnant with baby #3! And although I have a pouch sling and an ergo, I don't have a ring sling. I would love to win such a lovely sling for our next baby. This is beautiful!! You do such lovely work! Not expecting just yet, but hope to be soon and I'd love to carry a little one in this sling. Beautiful work, I will give this as a gift to a mom whose baby I recently helped catch! I am looking forward to baby wearing as much as I can and I would love to have this sling! I've used tube sling, Moby, woven wrap and Ergo but never a ring sling! I'd love to win this and try it! And after carrying my little girl in all those, I'm due with a boy on 19 April and I love that this sling is blue but not too "manly" like so many products for boys! I've never used a ring sling before but would love to! Also I now kind of wish that I hadn't had my baby yet (I'd be past 42 weeks now) but she was born on the 6th! Oh well. I'm pregnant with baby #2 due in June! I am also expecting a baby girl in May!!! I'm expecting a baby in May sometime. Thanks so much! And I'm 36 weeks today! I like the color of the sling! What a stunning way to wear your baby! Yes please! My attempt was not the most successful, so I'd love to have the real deal! Also expecting and due early May! I would love to win this for my daughter who is pregnant with my first grandchild! Your time management skills must be amazing or you never sleep.. How do you find time to make these things?! I am a new Mom! My dearest friend, who I have been friends with since I was six years old is expecting her second, and just told me she wants a ring sling for her new baby. I have one of your slings, Rixa, and love, love, love it and would love to win this one for my best friend! And I'm expecting a little someone in September!! Too bad this would be too small for me. and I'm probably grasping at straws here for a second entry but I'll let you decide... I am not pregnant but I am entering this giveaway in the hopes I win this sling for a dear friend who is about 2 months from her due date and I know would GREATTTTLY appreciate one!!! I'd love a basic ring sling, so beautiful! We are expecting baby #2 is Oct. This is sooo pretty! I'll take it, please? And I'm due in September! By the way, I appreciate your providing an anonymous comment option, but I wish you provided an option where you could include a name and privately provide your e-mail. I prefer not to attach comments that give information about my reproductive plans to my public online identity. However, I have no objection to sharing my e-mail privately with you or other blog owners. I usually use a wrap, but have been considering a ring sling for quick carries. For my second entry, I just want to thank you for always updating your readers with research and news about the fight to make home birth and midwifery care more available to women in our country. 2nd entry- I'm 11 weeks pregnant and would be thrilled to own this sling. Here's my second entry. Due August 31, 2012! It's a beautiful sling! I'd love to give to a friend or relative who is expecting. That fabric is beautiful! I would love to win this sling. I'm expecting a baby sometime mid-July! 21 weeks pregnant with my first! I'm expecting my first and I've been looking at ring slings! And I absolutely love the color of this one. 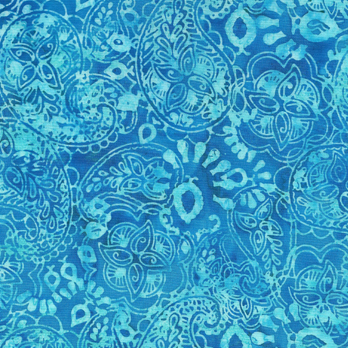 Batik is my favorite and your slings are beautiful! Aaaaand I am 34 weeks with #2. Love your blog. Thanks for the giveaway! Ooh, I love slings, this one is soooo pretty. the colour reminds me of an ocean- I would love to be there with my newest son - he would love the fresh breeze and I would love a pina colada- hands free with your sling :) !! Also, I'm preggers and due in April. My new baby would love this sling. YES i def. need a better sling! That sling is beautiful, and I'd love to have it! Also, I'm expecting my first baby in about 6 weeks! I have many carriers, but never had a ring sling. I'd love to win this! Definitely entering this one - and my birthday is Sunday too (fingers crossed)! Rixa, I have 3 of your slings and I LOVE them! People are always asking where I got mine and I hand them one of your cards! Just gave one out yesterday at Walmart! I would love to win this one for my little sister who is due in July! It has been a real life saver to have a sling for my baby while trying to keep up with a pre-schooler! I get a snuggled happy baby and two free hands to deal with my son! I love it! It's beautiful. I really wish I was expecting, not for an extra entry, but really, I wish I was expecting! Would love one of your gorgeous slings to hold my little guy close for as long as possible. So, this is gorgeous. The end. Expecting in the next month! Rixa, I love this fabric! Would love to see how you sew on the rings, too. I just made my first sling (copying one I bought) and wasn't 100% pleased with it. (I hope this doesn't mess the entries up -- if so, feel free to moderate/delete one of my entries!) But there's a "pleated ring sling tutorial" up on the right under "popular posts" :) Hope that helps! Would love this sling for my little guy! like everyone else - love it! would be thrilled to wear this with my babe! i'm expecting my second in august! Oh! Awesome! I'd love this sling :D I hope I win! Especially because I'm expecting my second in September! Oh, and I am due in early April with baby #8. I have never used a sling, always carried my babies around. Not one to like to put them down, but with all I do at home with my kids...I am looking forward to baby wearing instead of my arm wearing out! ...and I'm expecting baby #1 in May! beautiful sling! it is so nice to have something beautiful to carry your baby in, because your baby (or your ahem, ergo) becomes a part of your attire!